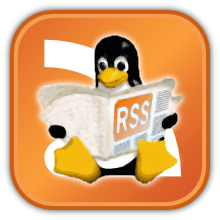 Home » Guides and Tutorials , Mobile , Ubuntu , Ubuntu Derivatives » Multi-Booting the Nexus 7 Tablet: Getting Ubuntu Touch Running. Multi-Booting the Nexus 7 Tablet: Getting Ubuntu Touch Running. Ubuntu Touch is something I've been watching closely, particularly because I spent a little time with an Ubuntu Touch-equipped Nexus 7 at the Southern California Linux Expo. The Ubuntu Touch developer builds can be a little finicky, although they've stabilized in recent weeks. The key to getting them going in MultiROM is to select the "Don't Share" radio button when adding the ROM. The Ubuntu Touch builds come in two parts. Add the smaller hardware-specific zip file first (on my Wi-Fi Nexus 7, it's quantal-preinstalled-armel+grouper.zip), but do not reboot—go back, list the ROM again, then push Flash Zip, and select the larger ROM file (quantal-preinstalled-phablet-armhf.zip). After that completes, you can reboot your tablet into Ubuntu Touch. Be advised, though, that Ubuntu Touch is under very heavy development, and sometimes the daily builds exhibit issues—and may not work at all. Your mileage may vary. If you do get Ubuntu Touch going, but it seems unresponsive to touch, try sliding from the left bezel toward the center. That'll bring up a Unity-style launcher, and things should work from there. It took me a few tries to figure this out. I thought my Ubuntu Touch installation was broken or that I had a bad build. It turns out, it's just a different operating paradigm. Figure 4. Ubuntu Touch on the Nexus 7! The Nexus 7 by itself is a great, low-cost, high-power tablet. However, thanks to its status as a reference device, there's a lot of alternate OSes out there for it. MultiROM lets you try them all without requiring you to wipe your device each time you want to try a new OS or ROM build. Check it out, but back up your data, and read the documentation thoroughly.